Cloudy with occasional rain...mainly this evening. Thunder possible. Low near 45F. Winds SW at 10 to 15 mph. Chance of rain 100%..
Cloudy with occasional rain...mainly this evening. Thunder possible. Low near 45F. Winds SW at 10 to 15 mph. Chance of rain 100%. GREENWICH — Michele J. 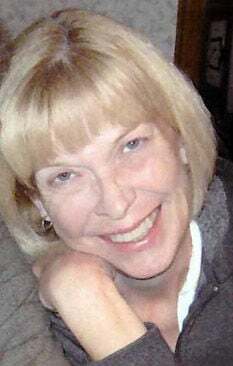 (Petteys) Stewart, 61, a lifelong resident of Greenwich passed away Sunday, Feb. 10, 2019 at Albany Medical Center, surrounded by her loving family. She was born Oct. 26, 1957 in Cambridge to the late Gordon and Marion (Humphrey) Petteys. In addition to her parents, she was predeceased by three sisters, Karen (Clifford) Wright, Barbara Jean Petteys and Cheryl Walsh; and son, Rick Stewart. Survivors include her loving husband of 36 years, Paul Stewart of Greenwich; sons, David (Renee) Bain of Powder Springs, Georgia, John (Lisa) Stewart of Greenwich and Tim (Val) Stewart of Lake Orion, Michigan; grandchildren, Payton and Avery Bain, Richie Jakakas and Sara Stewart and Joshua and Austin Stewart. She is also survived by her siblings, G. James (Karen) Petteys of Utah, Richard (Susan) Petteys of South Carolina, Tracy (Donald) McEachron of Salem, Gina Acee of Sherburne, and Stephen (Bridget) Petteys of Greenwich; and several nieces, nephews and cousins. Michele graduated from Greenwich High School as a member of the National Honor Society. She enjoyed babysitting, hanging out with her friends and spending time with her family. In 1983 she married the love of her life. While raising her family, she worked at the Kinney Agency, Washington County Co- Op, and was the bookkeeper for her brother’s business. In 1994, with their last child headed off to college, the house was a little quiet, so Michele and Paul confided in their new Labrador retriever, Cody. He was their faithful companion for many years and helped fill the void of all the boys having grown up and begun adulthood. Being a loving wife and nurturing mother was her first and foremost priority. She loved to cook and will always be remembered for her spaghetti sauce, chocolate chip cookies and peanut clusters. If she wasn’t working, cooking meals, helping with homework, running the kids all over for sporting events and practice or dealing with her four loving, but raucous boys, she would be nestled up reading a good book. She never turned anyone away when they were in need of something. Michele’s warm heart and willingness to help will be truly missed by all. A funeral service will be held at 9:45 a.m. Friday, Feb. 15, at Flynn Bros. Funeral Homes, 80 Main St., Greenwich with Rev. Keith Mann officiating. Graveside services will follow at Gerald B.H. Solomon Saratoga National Cemetery. A celebration of life will begin at 12:45 p.m. at the Greenwich Elks, Route 40, Greenwich. There will be no prior calling hours. In lieu of flowers, donations may be made in memory of Michele, to honor her granddaughter, Payton Bain to Autism Awareness (Team Payton) http://act.autismspeaks.org/goto/payton. Online condolences and messages to the family may be made at www.flynnborsinc.com.